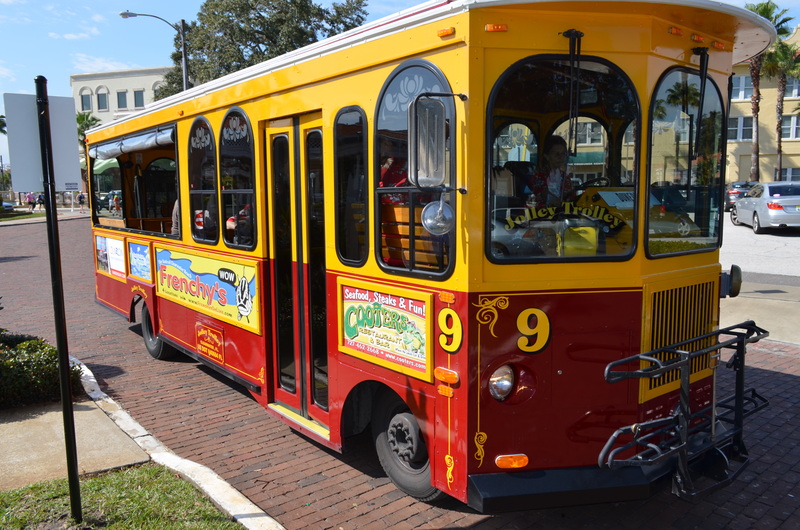 The Jolley Trolley made it inaugural run in Safety Harbor on Saturday, Feb. 1 2014. By all accounts, the City of Safety Harbor’s partnership with the PSTA and the Clearwater based Jolley Trolley has been a success so far. Two weeks in to the arrangement that will bring the bright red and yellow buses to town for at least the next eight months, officials are excited about the community’s reaction to the service. City Manager Matt Spoor also said city officials are happy with the reaction to the trolley so far. In order to clarify any misconceptions and make sure residents are well informed about the service, Longenecker and Spoor answered the questions our readers posed in addition to other frequently asked questions. 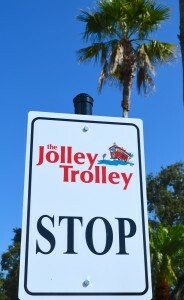 The Jolley trolley stop at the Safety Harbor Resort and Spa. Q- What is the Safety Harbor Jolley Trolley route? 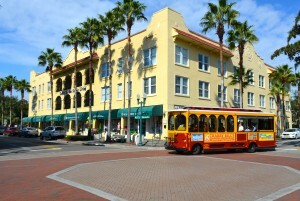 Q- Where can I get on and off the Safety Harbor Jolley Trolley? 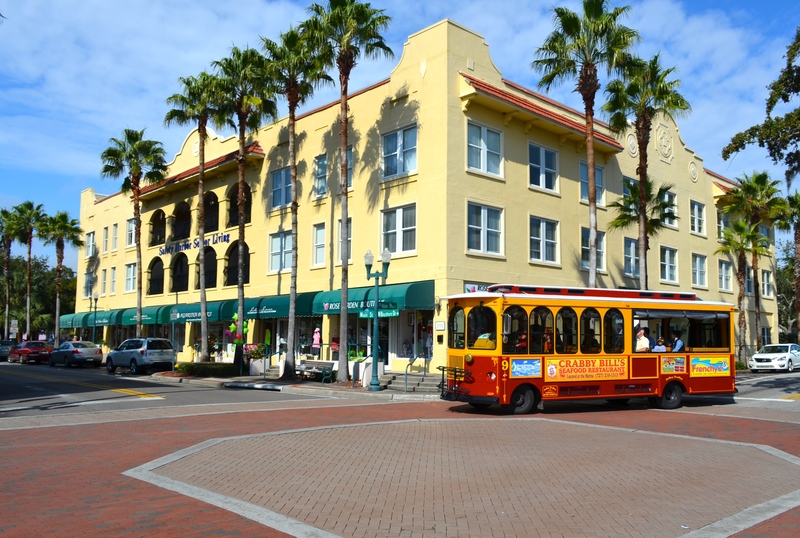 A- In town, the trolley has a designated stop at the Safety Harbor Resort and Spa and other PSTA stops along Main Street as well as one stop at SR 580 and McMullen Booth Road. Also, Longenecker emphasized drivers will stop and pick up riders anywhere along Main Street and other downtown business districts, meaning passengers don’t have to rush to specific stops to pick up the trolley. Q- Where can I find the Safety Harbor Jolley Trolley route? A- The trolley route is available online at clearwaterjolleytrolley.com under the “trolley route” heading. 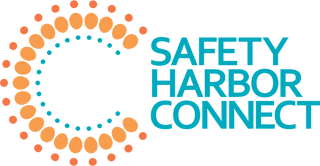 Click on the “Coastal Route” map to view the Safety Harbor route. Q- Where Can I get a map of the Safety Harbor Jolley Trolley? A- Printed maps are available in town at City Hall, the Spa and the Safety Harbor Chamber of Commerce. Also, the free, color maps can be placed at any local business or civic facility upon request. Q- Where can I get Safety Harbor Jolley Trolley passes and tickets? A- Tickets for all service levels can be purchased on the trolley through the driver. Day passes only are available at the Chamber of Commerce. Drivers accept cash only and cannot make change. Longenecker suggested groups pool their money for fares, or riders could even pay a little extra if they don’t have exact change since the Jolley Trolley is a non-profit organization. Q- How much does the Safety Harbor Jolley Trolley cost? A- Fares for the Jolley Trolley are $2.00 for a regular cash fare, $20.00 for a weekly fare and $65.00 for a monthly pass. There are also reduced rates for seniors, students and a “haul pass.” Children 5 and under are free. Visit the “fares” section of the Jolley Trolley website for more information. The Jolley Trolley stop in Safety Harbor. 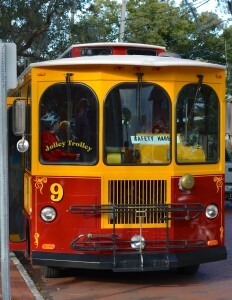 Q- When does the Safety Harbor Jolley Trolley run? 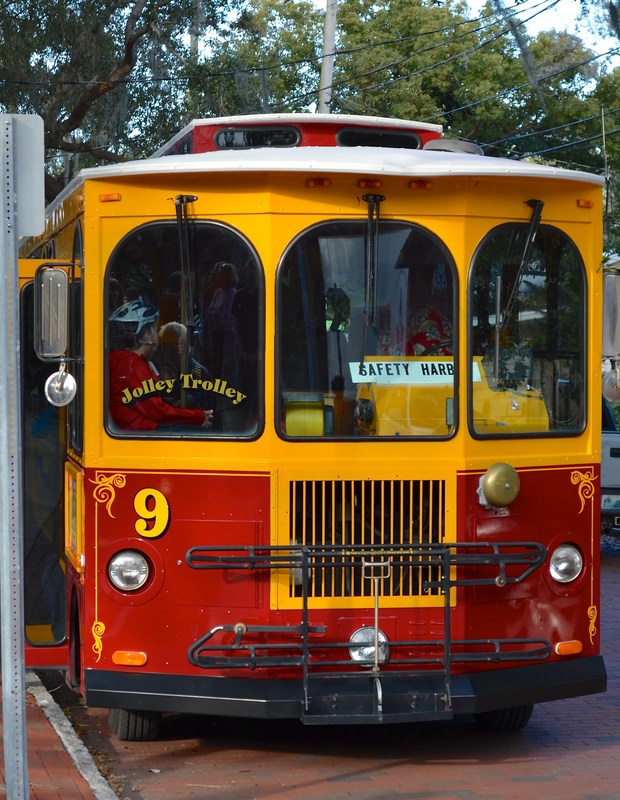 A- The trolley runs on weekends only in Safety Harbor during the eight month trial period, which ends on Sept. 30, 2014. Riders can catch the trolley in town on Fridays from 6:30 p.m. until 11:30 p.m. and Saturdays, Sundays and holidays from 11:30 a.m. to 11;30 p.m. Longenecker said the trolley has also added 7 non-weekend holidays to its 2014/2015 schedule. Those include: Mardi Gras; St. Patrick’s Day; Cinco de Mayo; Memorial Day; Labor Day; New Years Eve; and New Years Day. Q- How can I advertise on the Jolley Trolley? A- Longenecker said advertising on the Jolley Trolley is inexpensive and effective. Rates start at $40/mo. for an inside ad on one trolley, and go up to $286/mo. for an exterior ad. There are currently 19 trolleys in the fleet, and Longenecker said she works with merchants to help ensure the best possible exposure and bang for the buck for her advertisers. 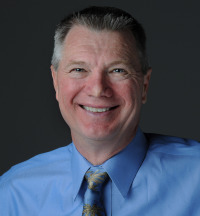 If you have any other questions about any aspect of the Safety Harbor Jolley Trolley service that is not covered here, please let us know in the comments below or email me at jeff@harborconnect.wpengine.com. 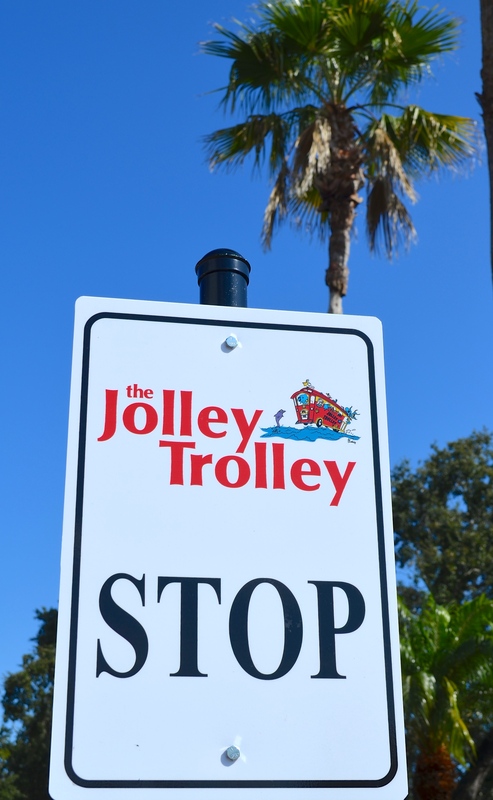 For more information on the Jolley Trolley and its Safety Harbor service, visit the Jolley Trolley website or call 727-445-1200. You can also contact Safety Harbor City Hall at 727-724-1555, or the Safety Harbor Chamber of Commerce at 727-726-2890. Are the ridership figures for unique riders or are they double counting people for round trips? Just wondering, I want this thing to be a huge success. Thanks Jeff! I just hope they used that method in their estimate numbers.